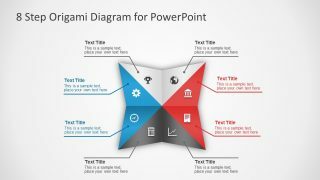 The 8 Steps Origami PowerPoint Diagram is a creative vector presentation of a multi-option model. 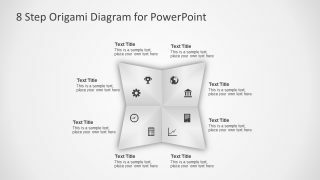 It is an 8 step PowerPoint with four-corner flat origami designs. The clip art icons and the text placeholders support the diagram visually. 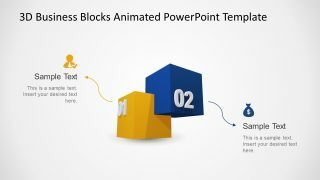 Each segment of the diagram is a triangular shape of clip art icons. Here, the colors and shades visually separate these triangular segments. The first slide of the template displays four color divisions. Whereas, the third slide has only two, (grey and white). But the last template layout decorates the origami design with a vibrant color palette. The illustration of folded paper displays the idea of Japanese traditional paper craft. 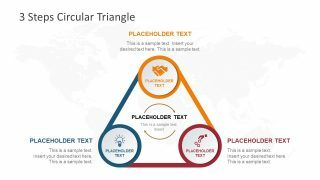 The origami diagrams are a multi-purpose presentation templates PowerPoint suited to discuss several options. For example, four solutions to a problem further contain two options to choose from. The template of Origami design PowerPoint slide is ideal for businesses. 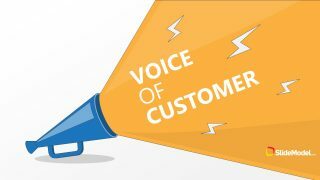 In the scenarios where the company must make an informed decision. This 8 steps origami display can be a fun choice to present options to an audience. 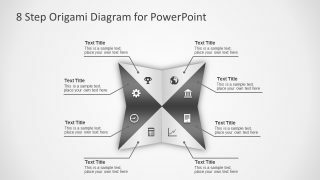 It is an editable PowerPoint diagram showing a folding origami box. The colors and their effects are 100% customizable through the format menu. PowerPoint gives a variety of editing options to its users and helps completely personalize the template. For instance, a full-fledged background customization feature. It allows users to add colors, patterns, gradients or images. Or, the drawing format menu with a number of features like shape fill, effects, outline, text formatting, grouping etc. 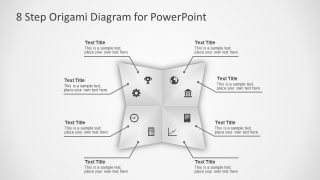 The 8 Steps Origami PowerPoint Diagram also lets the presenter demonstrate the process workflow of a project. The origami segments can represent a process, categories, or even products. Moreover, the clipart icons visually describe metaphors of flat origami designs. Such as a gear icon for suggesting solutions or, clip art globe to show the world standard processes. 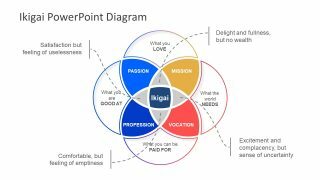 It is a creative tool for startups and entrepreneurs to make an impressive presentation for their investors.